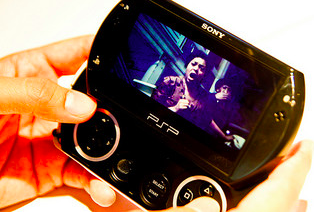 Still got that Playstation Portable, aka the PSP? Clutch it tight if you treasure it, folks, because Sony says it won’t be making anymore. Instead, it’s focusing on the PSP’s successor to the mobile gaming throne, the Vita. You might not have noticed if you haven’t been in the market for a PSP lately, but Sony actually ceased shipping the devices to North America back in January, and will kill it off in Japan by the end of this month, and later in the year in Europe, reports the Associated Press. To ease some of the pain customers might be feeling over the loss of the portable system, Sony is offering various discounts on Vita for Japanese owners, but haven’t announced similar measures yet for other locations. In its ten years on the scene, 76 million PSPs were sold — but that number itself is two years old, and is the last time anyone bothered to count. Portable gaming systems are a hard sell these days, because who wants to lug around an extra device when you’ve already got a smartphone ready, willing and able to serve up a plethora of games and apps to distract the common consumer? Exactly. Fare thee well, PSP. Feels like hardly knew ye. Ooh, look, I’ve got full lives on Confectionary Countdown!